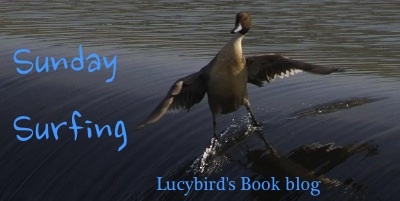 Sunday Surfing is my weekly feature (inspired by Chrisbookarama‘s Friday Bookish Buzz, which is one of my favourite features) where I share my favourite links from during the week, about books and blogging, and from other blogs. Plus a little about what’s happened on the blog this week. How is it November already? October only just started! Quiz: Which of These Books Were Published First? How Much Should We Be Reading? I feel flipboard is not tweeting everything I tweet…I’m sure I had more articles than this.